Online Catalog Use Alexandria Researcher to find books on our online catalog. Britannica in an online encyclopedia reference site for all ages. Legal Information Reference Center provides current downloadable legal documents. My Heritage is a place to find genealogy information. NebraskaAccess provides access to evaluated websites, databases and publications including: Nebraska historical resources, magazine, journal, and newspaper articles, biographical, legal and business information, genealogical resources, and more. 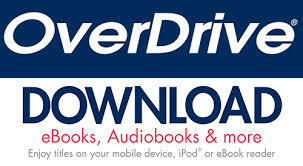 Nebraska OverDrive provides access to our collection of downloadable audiobooks and ebooks. Novelist Plus a great place to meet a new book. Tumble Books is an online collection of animated, talking picture books that teach children the joy of reading. City of Gering employment opportunities. Local job opportunities listed with Twin Cities Development Association for the communities of Scottsbluff, Gering, Terrytown, Bayard, Mitchell, Morrill and Bridgeport, Nebraska. NEworks lists job opportunities in Nebraska. Occupational Outlook Handbook presents detailed information on a wide range of occupations. University of Nebraska-Lincoln Career Services provides information on building a resume. Aging Office of Western Nebraska assist elederly citizens in remaining safe and independent in their own home and community. Community Action Partnership of Western Nebraska is a non-profit community based health and human services organization that serves low-income, disadvantaged, and those unable to meet their needs through other sources. Nebraska Legislature information about the state, senators, bills, laws and related information.